The story of those who lived in one house, from the time it was built until now. David Olusoga follows the stories of the first inhabitants of the house in the 1840s and 1850s. This series tells a story of Britain spanning a period of seismic social change from the 1840s to the present day, through the prism of a single-terraced house in Liverpool. 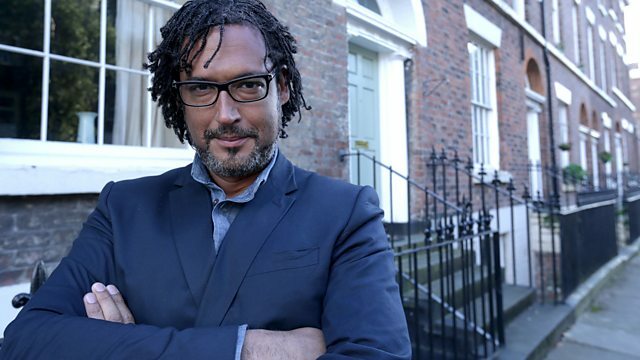 Presenter David Olusoga delves into 180 years of history, searching through city archives, scouring records and tracking down living descendants to tell the untold stories of the people who lived there, and reveal a unique insight into the making of modern Britain. In the first episode, David follows the stories of the first inhabitants of the house in the 1840s and 1850s. In a remarkable piece of historical detective work, he discovers how the house came to be built as a merchant's residence by a canny property developer at a time when Liverpool was one of the great trading ports of the British Empire. David then uncovers the story of the very first tenant - a customs clerk with a taste for fine furniture and the high life. He explores what happened to his lavish lifestyle when the money dried up. The second set of residents, James Orr and his wife Ann, were an apparently ordinary middle-class, newly-wed couple. But they prove to be anything but, as David discovers that they spent their early lives as servants. The couple made their way to the top of Liverpool society through hard work and a series of canny financial decisions that brought them enormous wealth. David then discovers a darker tale when he searches for evidence of the cotton broker, Wilfred Steele. Wilfred's story leads David in extraordinary directions. He discovers a portrait of Wilfred hanging in the Walker Art Gallery. But then the evidence leads him to debtors' prison and eventually to America, where David discovers that Wilfred's attempts to escape his past have had tragic consequences for his family back home. "This was the port of entry"